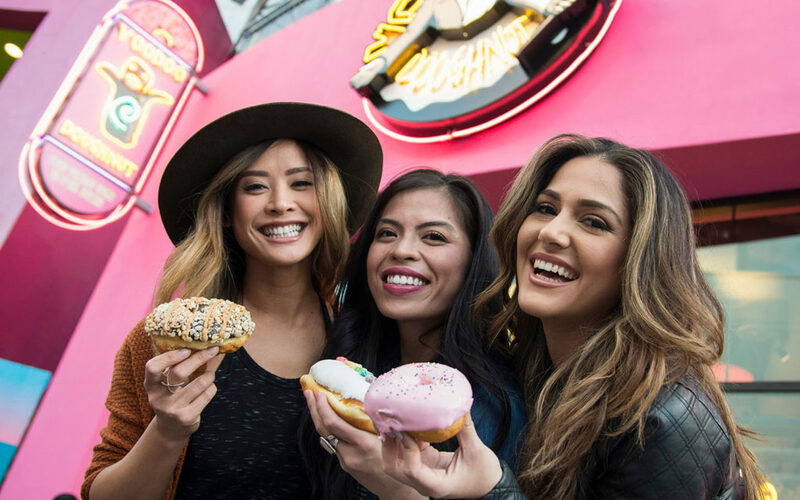 Voodoo Doughnut is bringing their sinfully delicious flavors to Universal CityWalk in Orlando this Spring. Featuring over 50 varieties of doughnuts, this will be the popular shop’s first location east of the Mississippi. The new shop will feature the same eclectic pink theming and irreverent names that can be found in current Voodoo Doughnut locations. It will be in the old Element store next door to the NBC Sports Grill & Brew. Check out more details about Voodoo and what types of unique doughnuts they offer below, and stay tuned for more theme park news coming soon! 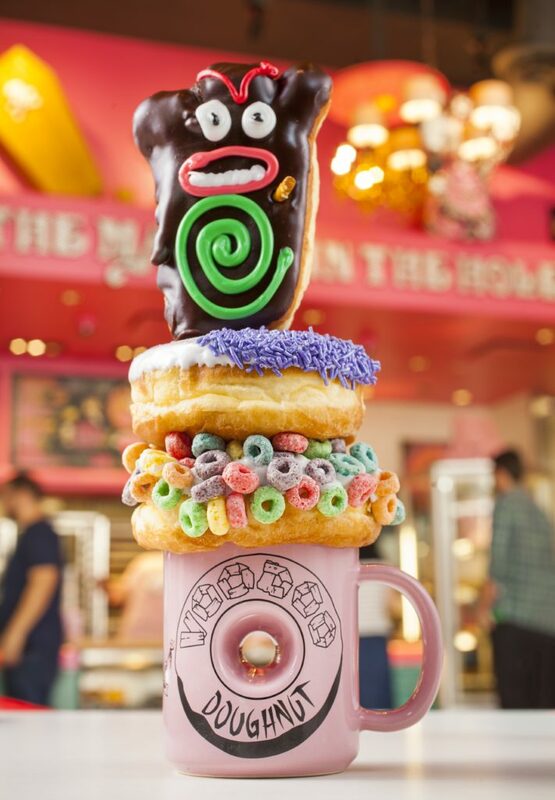 Loved for its sinfully delicious, delightfully weird lineup of fried creations, Voodoo Doughnut will feature signature originals and one-of-a-kind delectables such as the Dirt Doughnut, the Bacon Maple Bar, Grape Ape and, of course, Voodoo Doll doughnuts. Kenneth “Cat Daddy” Pogson and Tres Shannon created Voodoo Doughnut in Portland, Oregon in 2003. The pair had enjoyed experimenting with unique flavors to create eccentric pastries and they turned their passion into the phenomenon that is Voodoo Doughnut. As they say, the rest is history. Since their Portland, Oregon origins, Shannon and Pogson have continued to spread their unique flavors with several new locations including a few more in Oregon and shops in Denver, Colorado; Austin, Texas and CityWalk at Universal Studios Hollywood. The new location at Universal Orlando will be the first location east of the Mississippi. 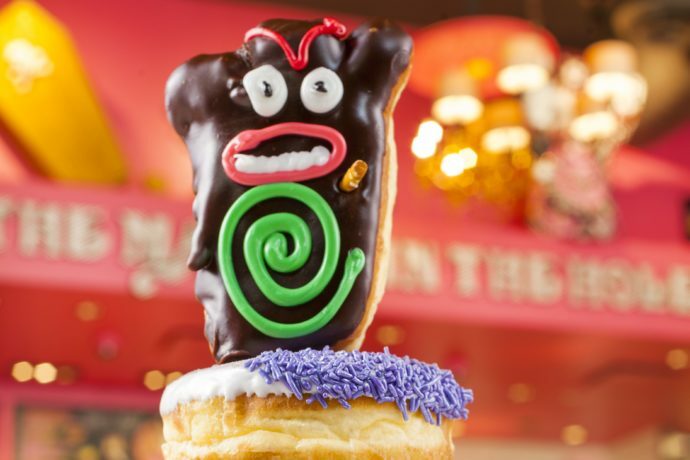 The shop will feature the same eclectic pink theming and irreverent names that can be found in current Voodoo Doughnut locations. It will be located next to NBC Sports Grill & Brew, just steps away from the iconic Universal Globe and Universal Studios Florida entrance.